A guide to how you can help Lombok earthquake victims. Lombok has been hit by two major earthquakes and hundreds of aftershocks in the past few weeks – the 29 July 6.4 magnitude and the more destructive 5 August 7.0 magnitude. Parts of north Lombok have been left devastated. The death toll currently stands at over 140, with hundreds more injured and thousands more without homes. 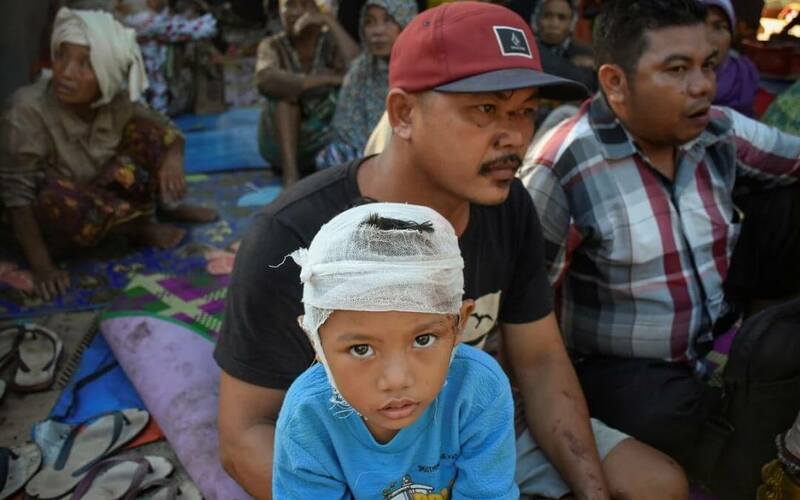 NGO’s and relief organisations are working tirelessly on the ground to help Lombok earthquake victims. While the media reporting has been extensive, it’s often hard to find clear information on how you can help. We have put together this list of NGO’s and local aid organisations operating in the area and accepting overseas donations. In addition to the below, if you live or are currently visiting Bali, Lombok or other parts of Indonesia, there are many other ways that you can help Lombok earthquake victims. Please leave a comment below or contact us here and we can help assist you further. Oxfam are working with partner organisations to provide shelter and clean drinking water. Providing emergency relief for children and families. World Vision are on the ground and providing immediate aid as well as longer term relief. Providing emergency relief items including tents, blankets, tarpaulin, hygiene kits and psychosocial support to children who may have lost their homes or loved ones. Also working with the education department to provide school materials and any other support needed to ensure children can get back to school quickly. Donations are being collected through their Indonesian bank accounts. Not ideal for those looking to donate from elsewhere but also not impossible. We usually use TransferWise to make international payments. It’s simple, fast with low fees and an exchange rate better than the banks. Peduli Anak is a Lombok based foundation helping underprivileged children and their families by providing residential care, family care, education, medical and legal aid. Their children’s home was destroyed in the earthquake. They are seeking support to help rebuild their facilities and also provide the children and families with emergency relief (food, water, cooking equipment and shelter). For updates and more details see their Facebook page. Lombok Forgotten Children – Endri Foundation, is a longstanding emergency aid group set up to connect the sickest of the sickest, Indonesian Poor, disabled & often abandoned children to help. The Foundation is providing support to affected areas through transporting food, medical aid and shelter. Leader of the Foundation, Endri is also the Red Cross CEO for North Lombok region. This is a longstanding organisation in Lombok who work tirelessly to support the most vulnerable. The Pelita Foundation is located in the South of Lombok so is unaffected by the earthquake however they are working with local aid organisations to provide food, shelter and medical assistance to regions affected. Their focus initially is on the Pemenang Village in West Lombok. Further information on their Facebook page. A collaboration between these two organisation providing emergency aid including food, medical and hygiene supplies and shelter. For more information and updates see their Facebook page. Be the first to know about our latest Real Estate projects and more from Lombok Indonesia.